Fun museums, exciting arcades, great birthday party ideas and fascinating aquariums are just a few of the fun things to do in Queens with kids that you'll find in this list. 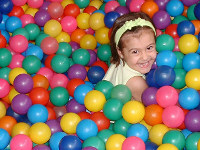 FunNewYork.com offers you a definitive guide to Queens kids activities. If you're looking for a fun rainy day activity don't miss taking your children to a Queens arcade. 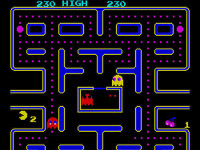 These fun video game places will delight kids of all ages when they play Pac Man, DDR, racing games and more at arcades in Queens. Enjoy these art studios in Queens on a rainy day or as an after-school activity. 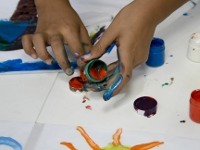 Queens art studios are great for children to develop their creative side. 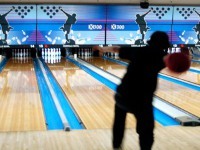 Find all the top bowling in Queens for families when you use FunNewYork's easy to use guide. Bowling alleys in Queens are great for recreation, birthday parties and fun nights out with friends. Use this list of Queens childrens museums to find the top places to bring your kids for educational fun! FunNewYork gives you an easy to use directory of kids museums in Queens. Use this guide to find all the top play places in Queens. When you need somewhere for your child to go let off some energy try these indoor playgrounds Queens has to offer. 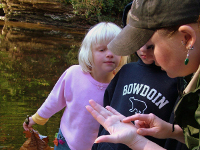 When your child attends Queens Summer Camps he or she will never forget it. A summer spent making friends, learning about nature, playing games and more at summer camps in Queens is not a summer wasted. List of Queens zoos. This is your one-stop guide to all the zoos in Queens. 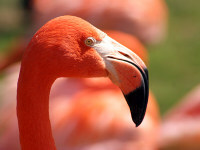 Learn about each animal's natural habitat, eating habits and life when you visit a Queens zoo.